If you enjoy what you are about to read, come back up to check out some other posts from our family trip to Austria and Switzerland! The Eagle’s Nest in Berchtesgaden National park is infamous. It was one of Hitler’s summer homes. It was used for meetings with other Nazi leaders. Unfortunately (and understandably) the furniture and contents were removed after the end of WWII. Today the building houses a restaurant. Those looking for more history can visit the Documentation Obersalzburg. This museum will give you a deeper background into the role that this region played in the larger picture of WWII. The Eagle’s Nest and even more so the road leading up to it are engineering marvels. The road was literally blasted into the side of the mountain in what is now Berchtesgaden National Park in a mere 13 months! Due to the steep, narrow nature of the road only specially trained bus drivers are allowed to transport passengers up to the top. A convoy of buses regularly leaves the Hintereck departure center carrying passengers up the steep, dramatic mountain road. They pass the buses coming back down the mountain as a planned passing point without an inch to spare! 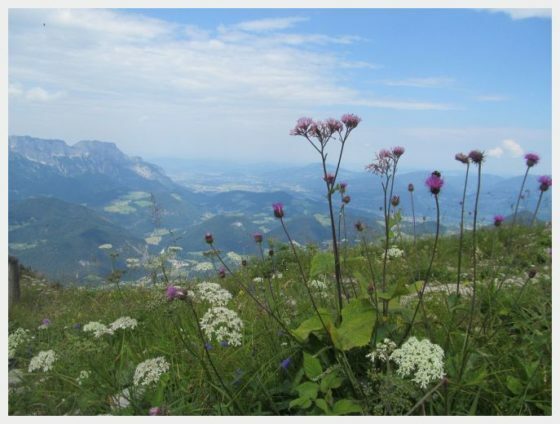 Start out early from Salzburg for Berchtesgaden National Park and the Eagle’s Nest! 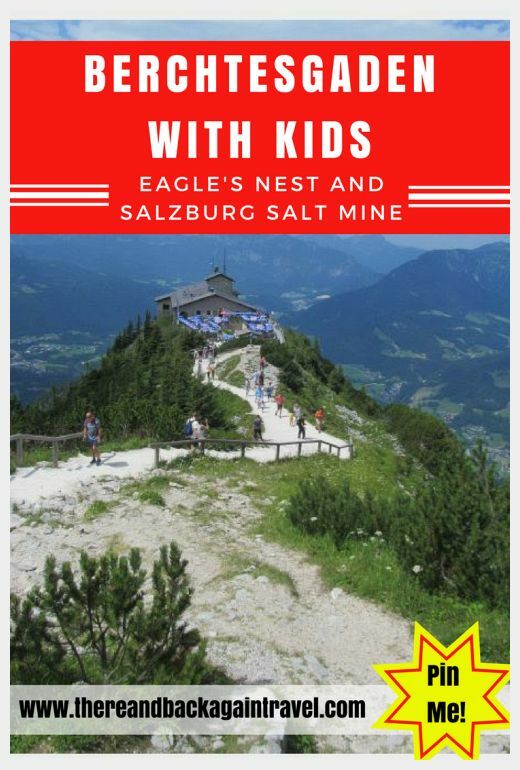 Starting early will give you enough time after visiting the Eagle’s Nest to fit in the Salt Mine on your way back down to Salzburg. Make sure to head to the Eagle’s Nest first. The skies often get cloudy later in the day and the views will not be as nice. Buses also leave earlier in the morning during weekdays than on weekends. 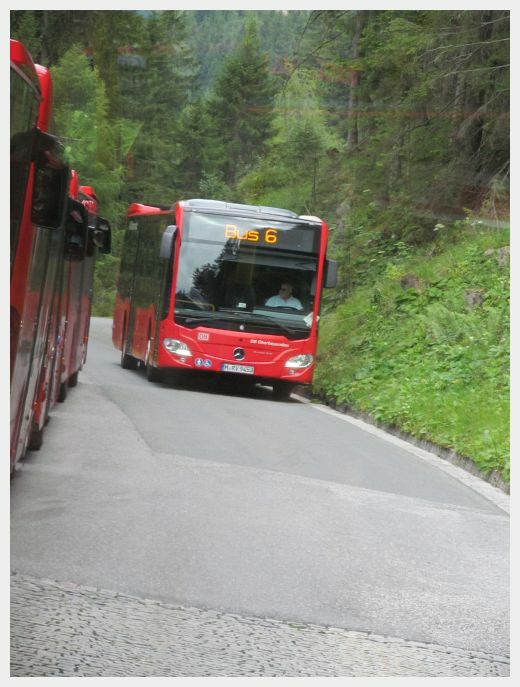 Catch Bus Route 840 from Salzburg to Berchtesgaden (here is a link to the bus schedule…print it out and carry it with you!) They leave only once an hour, so missing a bus here would set the whole day behind. The ride takes approximately 45 minutes. On your way up, you will pass the bus stop for the Salzburgwerks Salt Mine. This is where you will be stopping at on your way back later in the day. 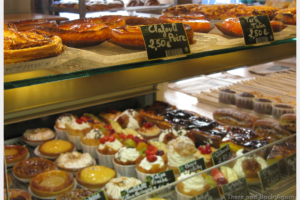 ***TIP: If you need to fuel up in Berteschgaden before getting on the bus to the Eagle’s Nest there was a bakery and a Burger King in the train station. The Tourist Information Office was just across the roundabout in front of the train station if you need to confirm bus schedules or tour times for the salt mine. There was also a grocery store next to the tourist information office. 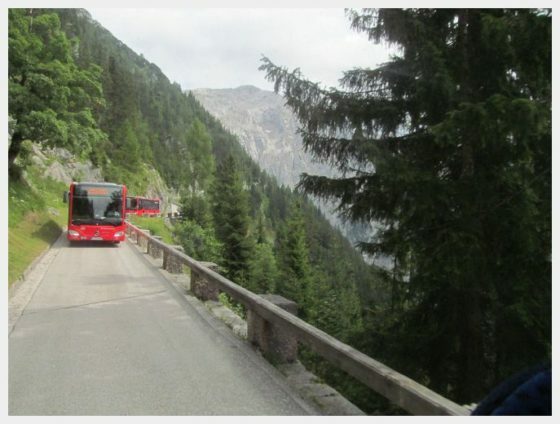 Take bus Line 838 from the Berchtesgaden Bahnhoff to the Hintereck/Eagle’s Nest Bus Departure Point. These leave frequently and were easy to find at the bus station. While you are here, you can jot down the schedule of the 838 bus for your return. This way you will know at approximately which intervals they come. We just missed the 838 bus and had to wait 30 minutes for the next one. Once you get to the Hintereck parking area and departure point you will buy timed tickets for Bus Route 849 from Hintereck to the Eagle’s Nest. 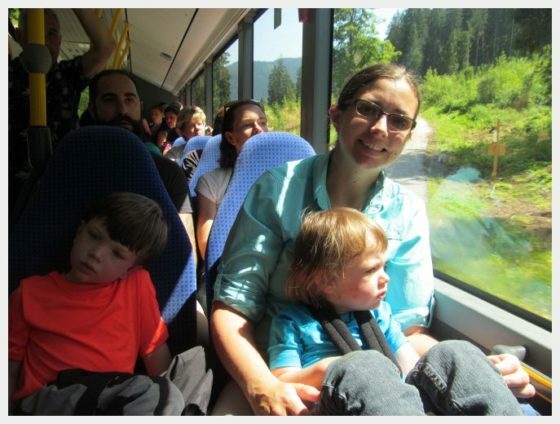 This bus will take you up the mountain past some memorable scenery to the top. You will need to prebook your return time at the window near the bus drop off before heading up. 2 hours was more than enough time for us with the kids. Those that want to eat at the restaurant at the top of the Eagle’s Nest (Kehlsteinhaus) or hike further down the trail might want more time. After booking your return, you will walk into the mountain down a long hallway. Deep within the mountain an elevator which will take you to the top. You can definitely score some once in a lifetime amazing views from the viewing platform right around the building. Walking a smidge further up the trail above the Eagle’s Nest will yield even more jaw dropping views. The trail upwards is not stroller friendly. You will want to hang on tight to your little ones as the drop off is quite steep in spots. You don’t need to walk very far for more beautiful views – only 100 yards up or so. Often at the end of the day there is a line to get on the elevator to come back down. Keep an eye on the elevator line and leave enough time to get back down and catch your bus. Retrace your steps taking the same buses back down into Berchtesgaden and get on back on the 840 bus back towards Salzburg. We had just missed the 838 bus back down into Berchtesgaden and had to wait 30 minutes for the next one. You might want to learn from our mistake and check the schedule before you head up. With our hearts (and camera) filled with the beauty of Berchtesgaden National Park, we headed towards the salt mine just as the sky was starting to cloud up! We stayed at the Meininger Hotel Salzburg City Center. 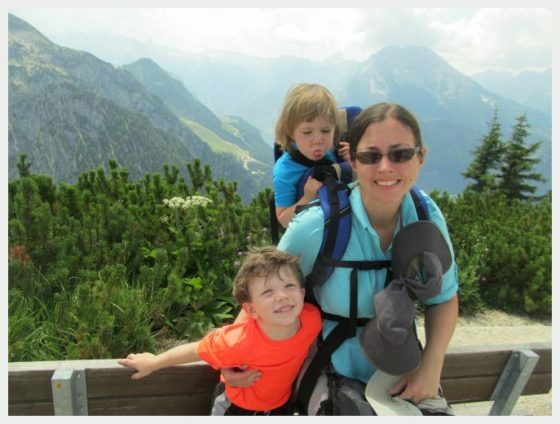 We loved our stay and it was a great place to stay with kids in Salzburg. Here is a link to our detailed review. There was one important factor that led us to chose to visit the Berchtesgaden Salt Mine over all of the other mines around Salzburg. This was the only mine that we could find which both our 2 and 4 year old could visit. BIG SCORE! Visiting the salt mine was one of the highlights of our trip for both us and the kids. 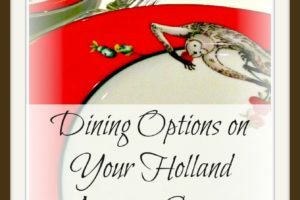 I am so glad that we were able to fit it into our itinerary! ***TIP: Double check the time of the last bus departure on the day that you are traveling BEFORE you get to the salt mine. If you don’t know, the tourist information office in Berchtesgaden can help you. We took the last salt mine tour at 5:00pm and JUST made the last bus back down. If you miss the last bus, it will be an expensive trip back into Salzburg. When you arrive at the salt mine, you will all don full body jump suits. These will protect your clothes when you go down the two long slides into the mine. 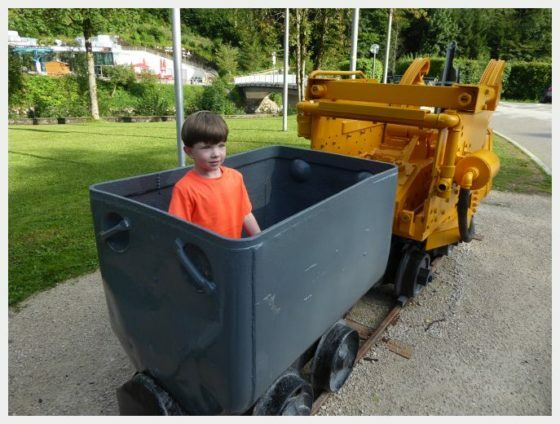 The tour starts out by riding a mining train downwards into the mine. You get an overview of the mine through the personal tour listening devices that we all had. The kids loved this part! When we got off of the mining train, we were all in for an adrenaline rush! 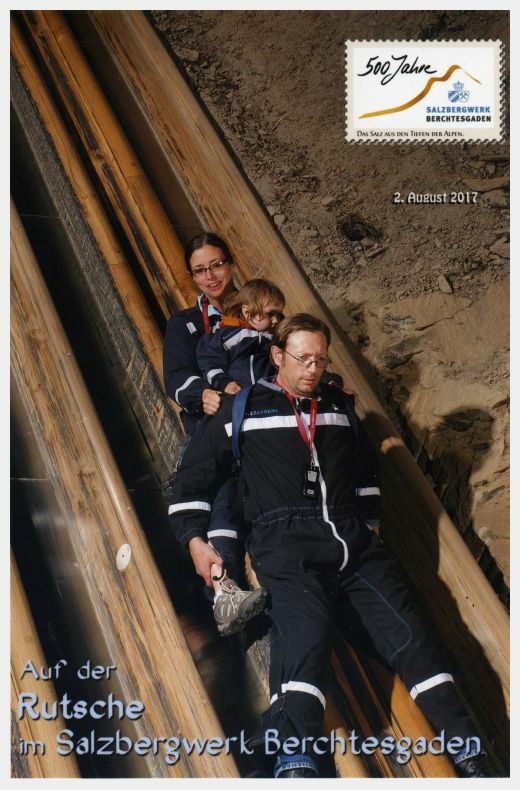 We all stacked together and slid quite quickly down a long wooden miners’ slide deeper into the mine. The adults were a little freaked out. The 2 year old just went right along with it sandwiched in between us and our 4 year old LOVED it (he rode with another family member)! The tour continued down some mining tunnels and then down one more slide which was even longer. This took us to the very bottom level of the mine. We boarded a boat which took us across an underground lake. A laser light show lit up the cavern around us as we glided silently across the lake. After this, we started back up via elevator and then back onto the miners’ train to get back out to the top. At the end, there is a gift shop where you can buy different varieties of salt to take home and other gifts. The tour took a little less than an hour. Unfortunately, photos aren’t allowed so you will have to check their website for a better idea of what we saw. We learned a little background about salt mining which has always been an important part of the local economy. 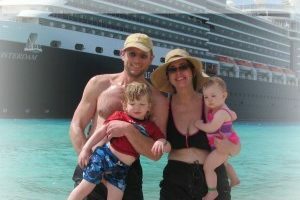 The kids just thought it was one big adventure – trains and slides and a cool underground lake! *** TIP: It is very cool underground in the mine. The jumpsuits provide some warmth, but I was happy that the kids had their fleeces on underneath. After we finished the tour, we ran right out to the road where we had gotten off and caught the bus back to Salzburg. We returned from Berchtesgaden to our home away from home in Salzburg with two sleepy kids and an amazing day of family vacation memories! 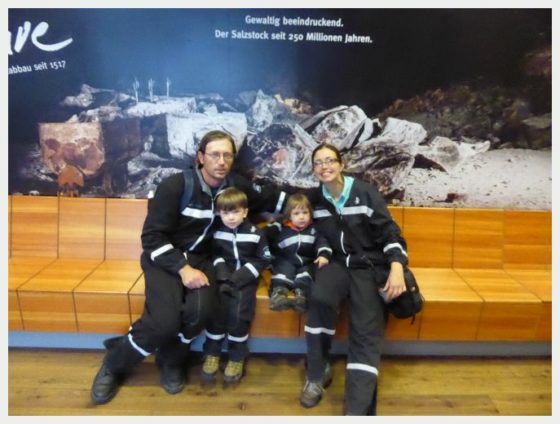 If you ask our kids, our visit to Berchtesgaden National Park and the Salt Mine was one of the best days of the whole trip (especially the salt mine…my 4 year old really liked the slide)! 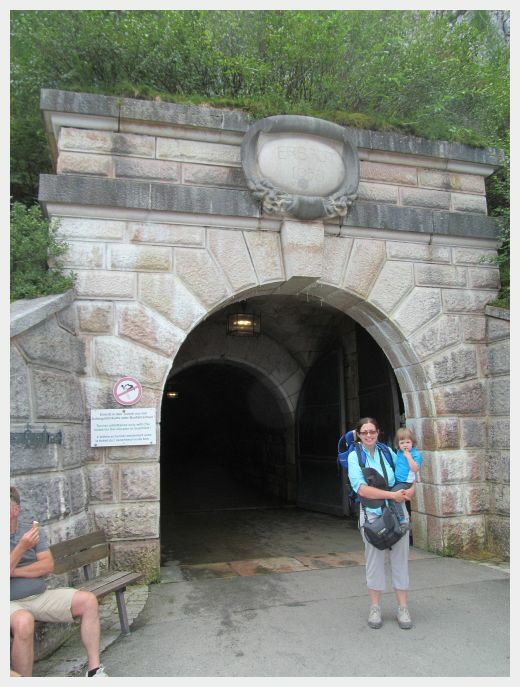 If you enjoyed reading about our visit to Berchtesgaden National Park with our kids, check out these other family friendly pieces about our time in Austria!